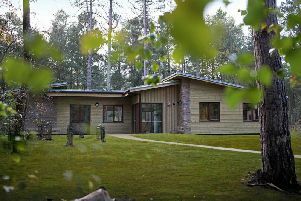 A comic vision of Shakespeare’s Much Ado About Nothing comes to the RSPB The Lodge in Sandy next week. The critically-acclaimed theatre company The Pantaloons present the Bard’s timeless summer comedy of masks, music and mistaken identities. The boys are back from war and it’s time for celebration - but villainous Don John decides to spoil everyone’s fun with his devious plots. Will young Claudio and his love Hero fall foul of these machinations? Will Beatrice and Benedick stop bickering and fall in love? Find out in this fast-paced and physical new production. With a cast of just five actors playing around 20 characters audiences can expect plenty of quick-changes, larger-than-life characters and dubious wigs. Using audience interaction, contemporary references, slapstick and original live music all nestled comfortably within the verse, this production is sure to put a smile on even the glummest face. By making the clowns an integral part of the show, The Pantaloons bring a genuinely traditional element back to Shakespeare’s work, making it accessible to people of all ages without dumbing down. It’s not all silliness, however. “This is a comedy which teeters on the edge of tragedy,” says artistic director Stephen Purcell who is also a pre-eminent Shakespeare scholar and assistant professor at the University of Warwick. There will be two performances at the same venue on Saturday August 22, the first at 1pm and the other is at 6pm.